In this interview with Dr. Marina Sagnou we discussed the use of natural products, some of which are commonly known as superfoods, for the design and synthesis of new organic molecules for medicinal purposes. Dr Sagnou explains how natural products like Curcumin are strong candidates for applications such as the diagnosis of Alzheimer’s disease, and the diagnosis and/or therapy of cancer, amongst others. We also talk about Demokritos’ unique expertise and positioning as a producer, banking and processing facility, and provider of Human Bone Allograft and the tremendous cost benefit both to clinicians and the Centre, as well as the development of innovative synthetic and natural allograft for dental and orthopedic applications which carry several physical, mechanical and cost benefits over organic bone tissue. Interviewed by George Voulgaris for Tech Talks Central. Dr Marina Sagnou is Research scientist at National Centre for Scientific Research, Demokritos and Promotion manager for Demokritos Human Bone Allograft. Dr Sagnou has a BSc (Hons, 1st class) from University of Surrey, UK and a Ph.D. in Medicinal Chemistry from the University of Portsmouth. Her main research focus is in the area of design, synthesis and biological evaluation of novel small organic molecules, natural products or organometallic complexes with potential target-specific pharmacological properties. The areas of potential application of such designed molecules in which her research is currently engaged are: diagnosis of Alzheimer’s disease, diagnosis and/or therapy of cancer, function and imaging or p-glycoprotein and multi-drug resistance in CNS pathology and cancer, natural products in rewarding and addiction, and small molecules in stem cell proliferation. Dr Sagnou is actively involved in the organisation and implementation of promotional activities of the NCSRD human bone allograft product, and the development of synthetic allograft for dental and orthopaedic application. 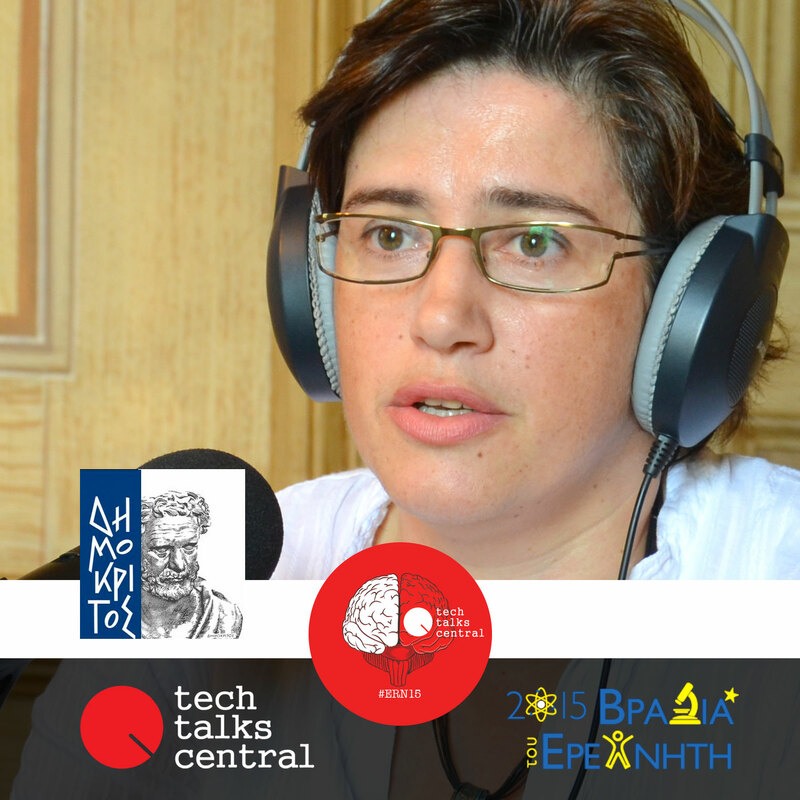 Finally, she is deeply interested in getting younger kids inspired about science, frequently organising open days to Demokritos, including laboratory experience, hands-on experiments and outreach events.